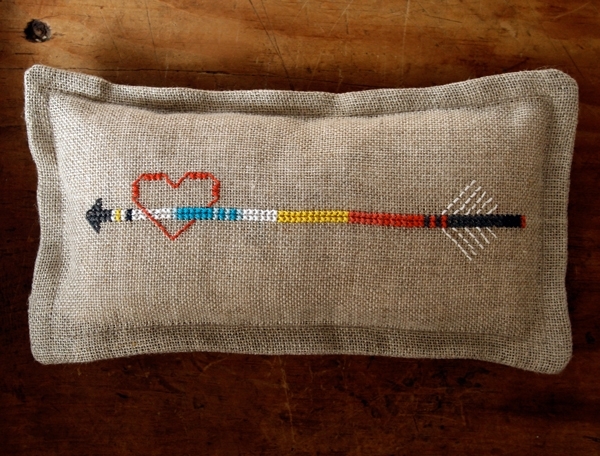 This Valentine’s Day I am sending arrows straight to my loved ones’ hearts with my pretty Heart + Arrow PIncushion. 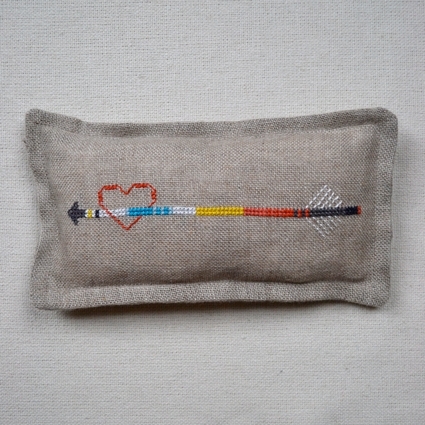 This simple Valentine motif is made modern with a funky choice of colors, plucked from Sajou’s classic collection of Retors Du Nord cotton embroidery floss. Useful, beautiful and meaningful, plus super quick and fun to make, you’ll be spreading a whole lot of love this year! Happy Valentine’s Day! 1 piece of Zweigart 25 Count, 18-inch by 27-inch Pre-Cut Dublin Linen, Color: Raw Linen. 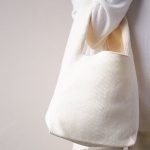 There are a variety of other fabrics that would work for this product. 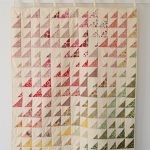 Check out: Weeks Dye Works’ 30 Count Embroidery Linens or Sajou’s Lin a Broder 30 Count Fat Quarters. Assortment of Sajou Retors du Nord cotton embroidery flosses. I used colors 2004 Off White, 2011 Turquoise, 2017 Coral, 2039 Sun, 2086 Charbon, 2491 Brick, 2818 Gobelin Blue and 2864 Navy. 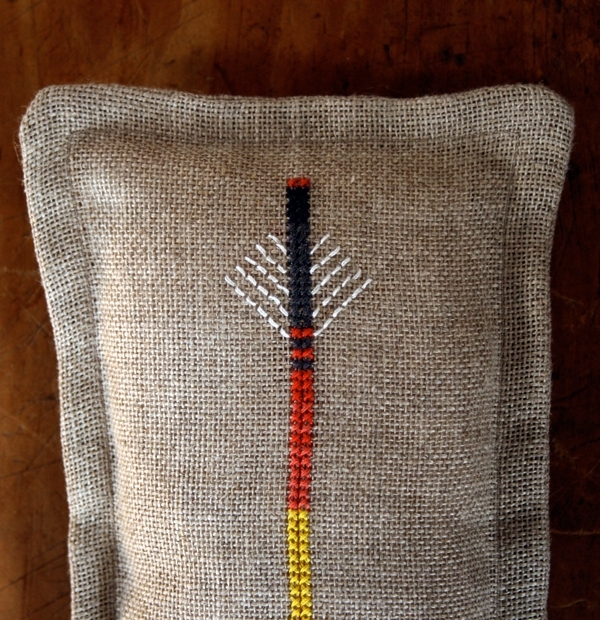 100% cotton thread to match Linen, I used color 3400. 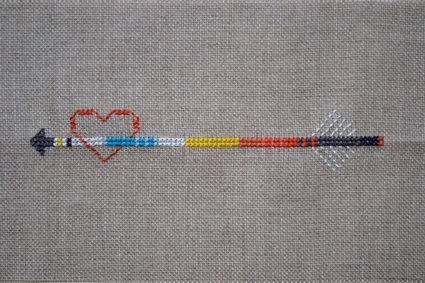 A Heart + Arrow Cross Stitch Template available for free download here, printed and cut out. Cut two 7 1/2-inch by 4-inch rectangles out of the muslin. Put these two pieces to the side for now. 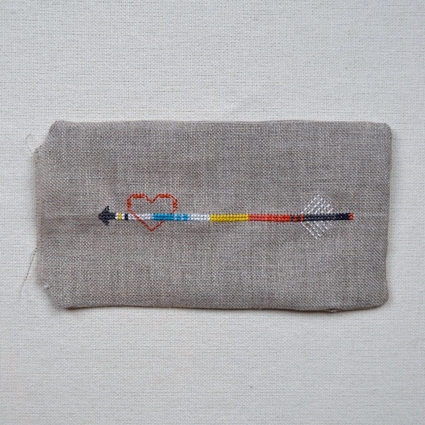 Using the cotton floss and Heart + Arrow Cross Stitch Template, cross stitch one of the pieces of cut linen. 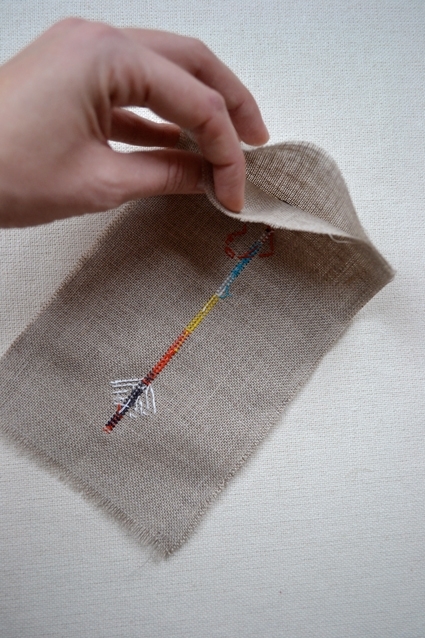 The total length of my arrow is just over 6-inches long on the 25-count linen. 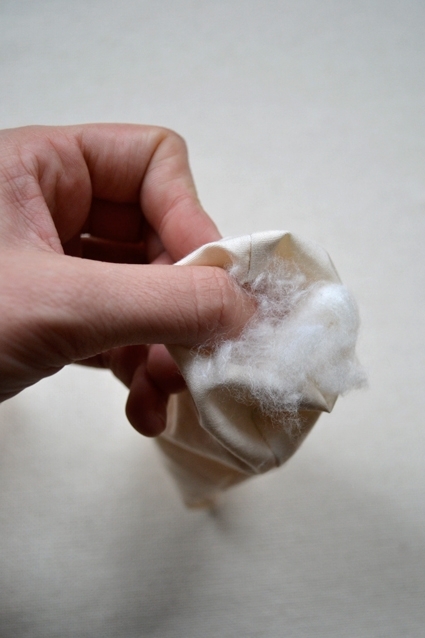 If you are using a higher count linen your finished arrow will be slightly smaller, or if you are using a lower count linen your arrow will be slightly larger. Part of the beauty of this project is its flexibility. 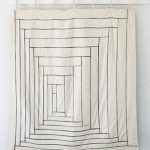 This project is simple and somewhat rustic, so instead of measuring the exact center of the fabric rectangle, I folded the piece into quadrants and treated the intersection of the creases as the center. If you’re new to cross-stitch, or just need a refresher, check out our Cross-Stitch Basics Tutorial! 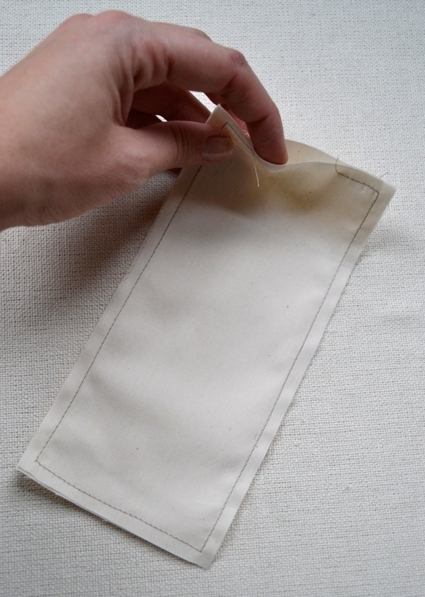 Pin your embroidered linen rectangle to the plain linen rectangle, right sides facing. Using a 1/2-inch seam allowance, machine sew around the edges of the square, leaving a 2 1/2-inch opening at the bottom of the square. The linen has a tendency to ravel, the extra-wide seam allowance is to prevent the seam from pulling loose when it’s turned. Trim the corners at a 45-degree angle to create crisper corners when turned right side out. Turn right side out. Pin the two muslin rectangles together. Using a 1/4-inch seam allowance, machine sew around the edges of the square, leaving a 1 1/2-inch opening at the bottom of the square. Trim the corners at a 45-degree angle to create crisper corners when turned right side out. Turn right side out and stuff until firm. 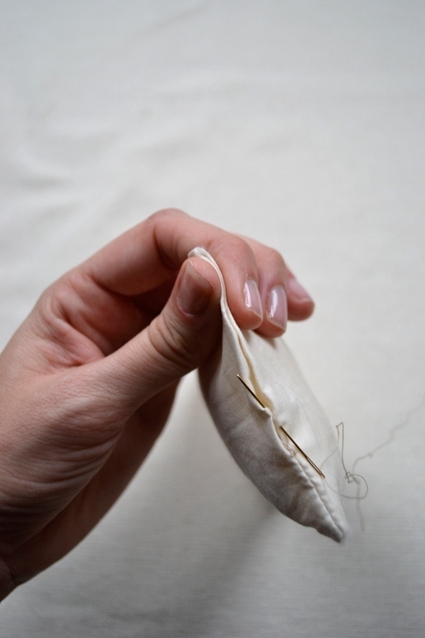 Close the 1 1/2-inch opening by hand sewing, using a blind stitch. You now have a rectangular muslin pillow. 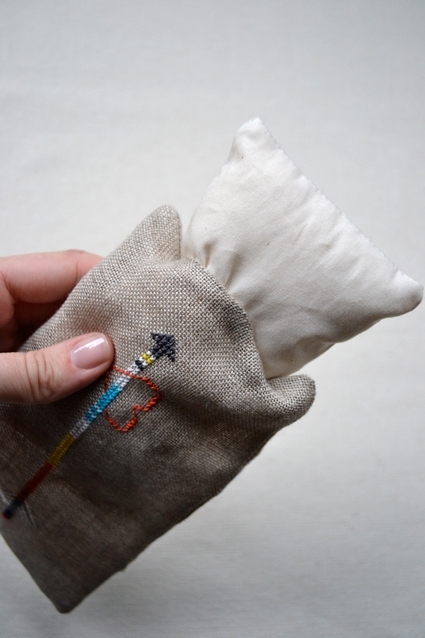 Carefully push the muslin pillow into the linen pouch through the 2 1/2-inch opening. 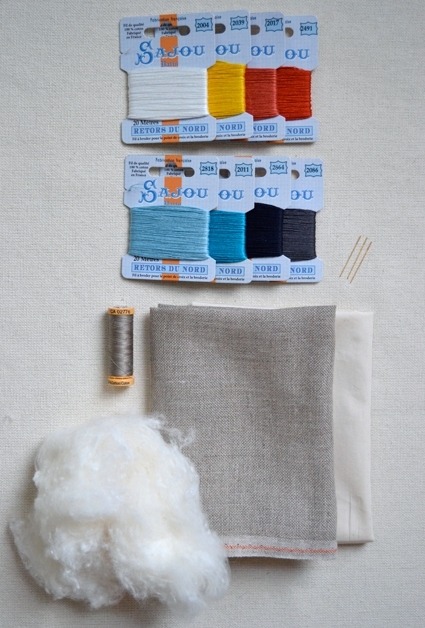 Using a 3/8-inch seam allowance, machine sew along all four sides of the linen cushion. This will close the opening you had left for inserting the muslin pillow. And you’ve done it! 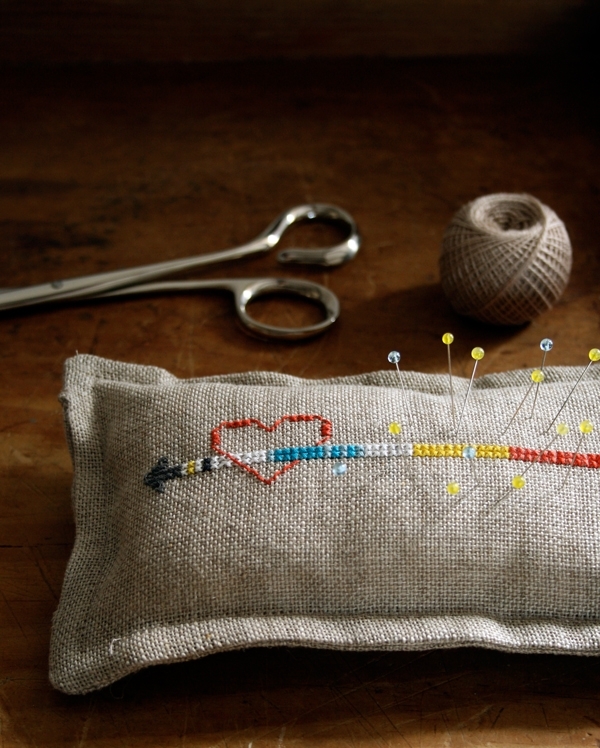 Your very own Cross Stitch Pin Cushion! This is awesome! 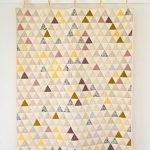 Very nice I am going to try to make one. Thank you for sharing.